GREENWOOD – Laurens Academy won the SCISA Region 1-A basketball tournament championships Saturday, with the Crusader boys knocking off Richard Winn Academy 59-56 and the girls defeating Newberry Academy 48-34. Surpringly, the LA girls (24-3) did not hit a single three-pointer as Jennifer Wu and Ruthie Moore both scored 16 points. Wu hit half her 10 shots, and Moore went 6-for-15. Blair Quarles added six points, while Reagan Williamson and Florence Mitchell both scored five. Daja Taylor led Newberry Academy with 16 points. The Crusaders, who are reigning state champions, pulled out to a 26-12 lead at halftime, and the final margin was the same. Dawson Foster had the hot hand for the LA boys (19-9), scoring 20 points and hitting seven of his 11 shots. He hit four of his six three-point attempts, and as a team, the Crusaders connected on 48.6 percent (17-35) overall and 52.6 (10-19) from behind the three-point line. Laurens Academy also hit 15 of 18 free throws. Noah Moore scored 15 points, Diamonte Grant 12, Charlton McCall seven and Thomas Lowry five. Darius Boyd led Winn with 18 points, though he hit only five of 19 shots. Dru Caldwell scored 12, and Hudson Wade and Will Carvalho each added 11. 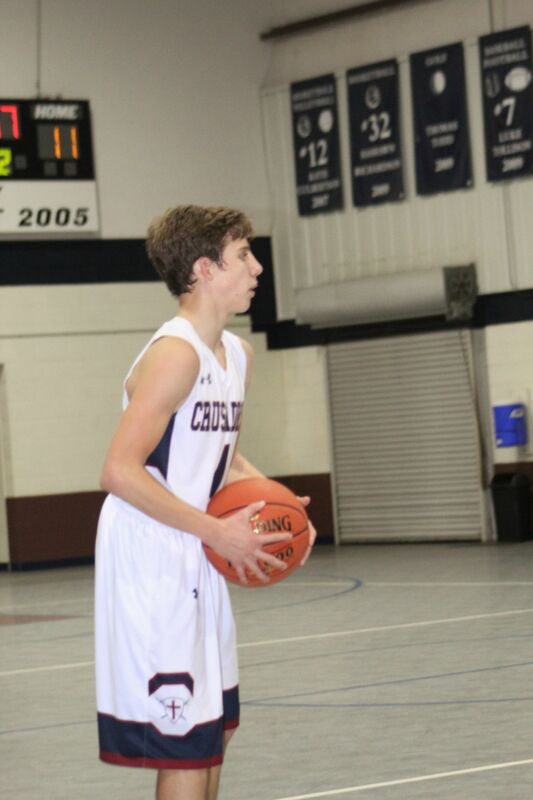 The Crusaders led at the end of each quarter and took a 49-36 lead into the final quarter. The crucial difference was at the free-throw line, where LA hit 15 out of 18 and Winn was only six of 11. Winn, the top seed, tried 15 more shots than LA, but shot just 38 percent (19-50). Both teams hit more three-pointers than twos.